Travefy Wins The Brand USA Marketing Innovation Award At Phocuswright Travel Innovation Summit. 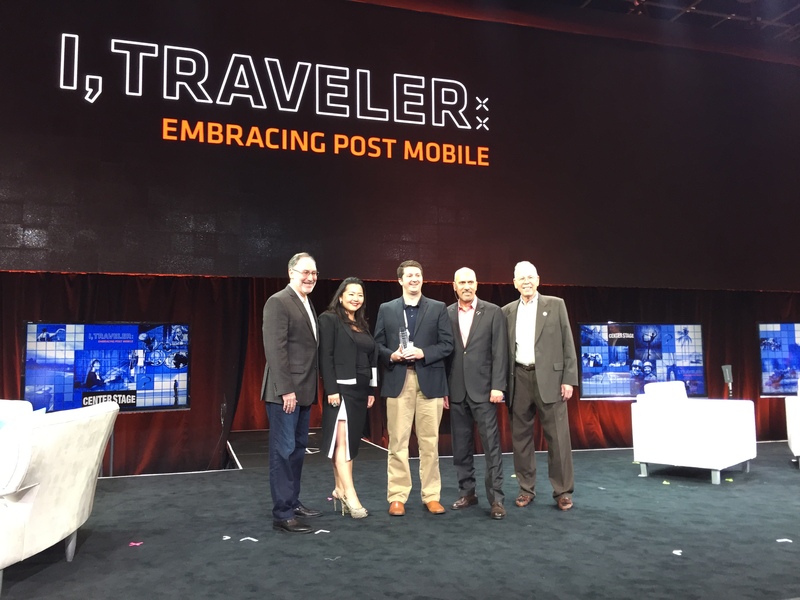 The 2015 Brand USA Marketing Innovation Award was presented to Travefy for offering a rich, intuitive tool for travelers to plan trips together. Travefy, the all-in-one group travel planner, won the Brand USA Marketing Innovation Award at the 2015 Phocuswright Travel Innovation Summit. Travefy was selected from among 40+ Travel Innovation Summit speakers for “the best innovation related to tourism marketing”, specifically for its Travefy Pro product. Travefy Pro works with Destination Marketing Organizations, Convention and Visitors Bureaus, and Tourism Boards - among other channels - to provide online tools to drive potential visitor engagement and trip conversions, as well as provide rich economic development data through Travefy’s powerful branded group travel collaboration platform. To learn more, please see https://travefy.com/DMO. "Through our partnership with Phocuswright and as a sponsor of The Travel Innovation Summit, we are able to connect with an incredible range of talent. The Brand USA Marketing Innovation Award demonstrates our commitment to fostering the future of tourism marketing," said Carroll Rheem, vice president, research and analytics for Brand USA. 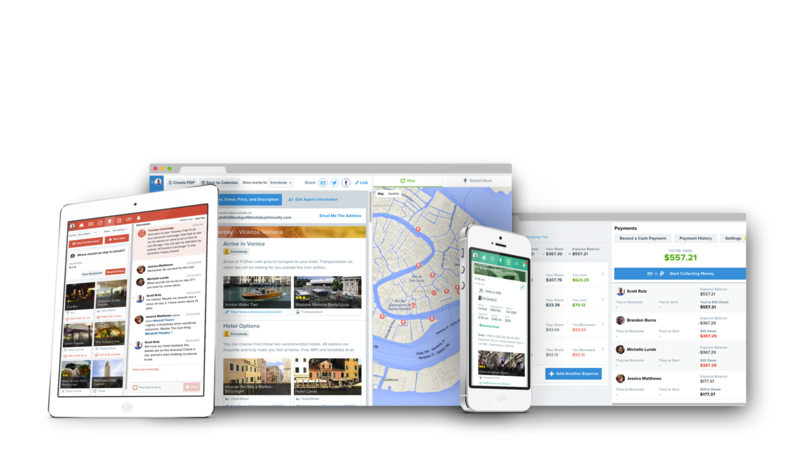 "The 2015 Brand USA Marketing Innovation Award was presented to Travefy for offering a rich, intuitive tool for travelers to plan trips together." In addition, Travefy Sales and Marketing Chief Scott Rutz was named to Phocuswright’s 35 Under 35 as a part of the Phocuswright Young Leaders Summit. The Young Leaders Summit recognizes rising stars in the travel industry and encourages executive development through a series of exclusive events held throughout the year. Travefy (https://travefy.com) is the easiest group travel planner. Through Travefy, groups can collaborate on trip details, build rich itineraries, and collect shared expenses so no one is stuck with the bill. Travefy is available directly to consumers and branded Pro versions are available for travel brands, suppliers, and agents among others. Travefy has been featured in The New York Times, Forbes, Fast Company, and U.S. News and World Report among other publications and has won numerous innovation awards. Brand USA, the destination marketing organization for the United States, was established by the Travel Promotion Act to spearhead the nation's first global marketing effort to promote the United States as a premier travel destination and to communicate U.S. entry/exit policies and procedures to worldwide travellers. Formed as the Corporation for Travel Promotion in 2010, the public-private entity began operations in May 2011 and does business as Brand USA. With a mission of increasing incremental visitation, spend and market share of international travelers to the United States, Brand USA works in close partnership with more than 500 partners to maximize the economic and social benefits of travel. These benefits include fueling the nation’s economy and fostering understanding between people and cultures. For industry or partner information about Brand USA, visit http://www.TheBrandUSA.com. For information about exceptional and unexpected travel experiences in the United States, please visit Brand USA’s consumer website at http://www.VisitTheUSA.com.